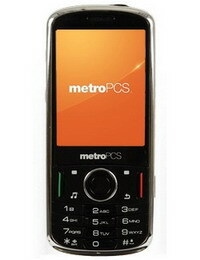 MetroPCS has a new entry-level device in its portfolio – ZTE E520 aka Agent. The mobile phone comes with a 1.3MP camera for both photos and videos, 2.4-inch QVGA display, music player app, Bluetooth 2.1 with EDR, microSD memory card slot, and 900mAh battery. ZTE E520 measures 110x48x14.7 mm and weighs 100 grams. ZTE E520 aka Agent is available for $69.99 with unlimited plans via MetroPCS. 0 comments on "ZTE Agent E520 for MetroPCS"